Are you a certified EMT or enrolled in the Wesleyan EMT class? Are you interested in potentially using your lifesaving skills to help the Wesleyan community? 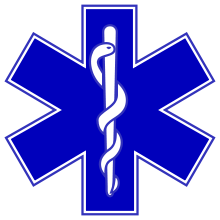 This post is meant to explore interest among student EMTs regarding starting a campus emergency medical service. If this sounds like something that might interest you and you know your ALS from your BLS, your OPQRST from your SAMPLE, your DCAPBTLS from your BSI, and your CSMs from your ABCs, then please email wesleyanems[at]gmail[dot]com! If you’re licensed in another state, you will be able to get reciprocity certification in Connecticut for free provided you’re NREMT certified. Note: there is currently no student EMS, and medical emergencies should still be directed to Public Safety and 911. Posted by wilk in General on September 25, 2017 at 10:13 AM.